The Manhattan Project, a new upscale sports bar and restaurant, is scheduled to open tomorrow, Saturday, Nov. 5 at 6 p.m. at 2101B Frankfort Ave., behind Nancy’s Bagel Grounds in a space that had long been a clothing resale shop. Co-owners Erick Strnatka, Fred Pizzonia and two other partners have renovated the space into a crisply designed, open room with a long bar and booth and table seating. The booths against the walls each has its own TV; there are two dozen sets arranged throughout the room to ensure easy sports viewing. A private sports lounge can be rented for special events, and there is a covered patio out front that can be enclosed in cooler weather. 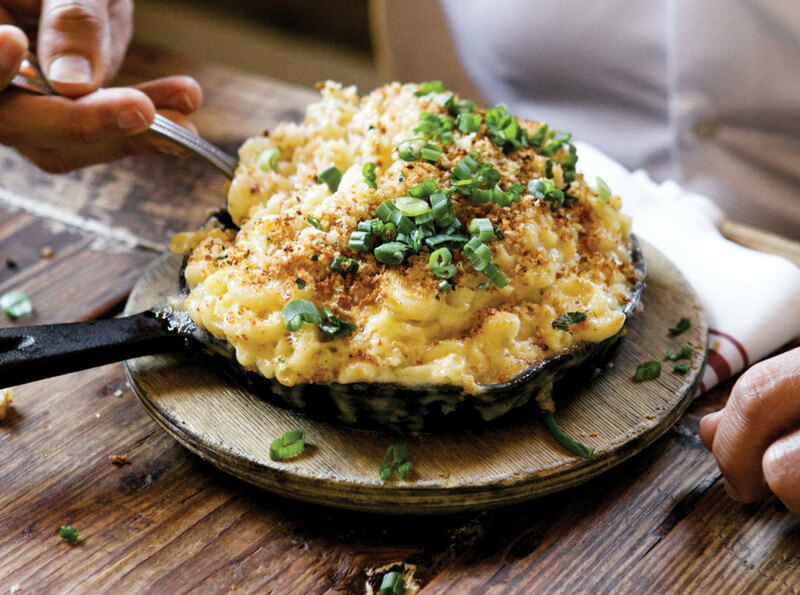 Chef Kyle Schwan’s menu includes braised short rib nachos, duck wings, fried pickle spears, burgers and sandwiches and more than a dozen variations on the theme of macaroni and cheese. Sunday brunch will begin service at 10 a.m. The bar will offer Happy Hour specials during the week 3-7 p.m., various menu specials will rotate weeknights, and on weekends without major sporting contests, there will be live music.